Wash artichokes; remove outer leaves until pale yellow leaves are exposed. Cut off top two inches and stems so artichokes will sit upright. Remove fuzzy centers and rub all surfaces with half of lemon. 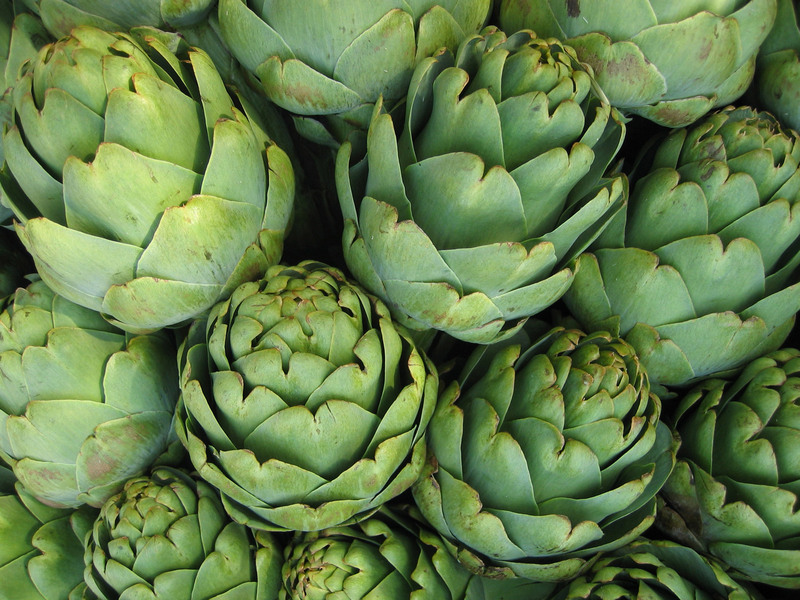 Add juice of remaining lemon to water and dip artichokes to preserve green color. 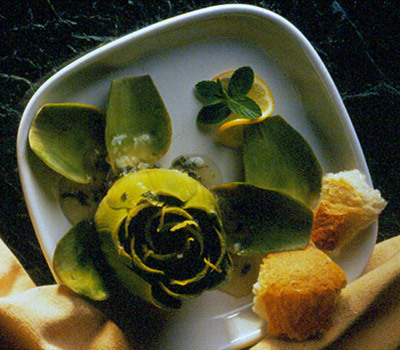 Mix mint and garlic with ¼ cup olive oil and spoon into hollows of artichokes. Place in pan just large enough to hold them upright. Add water to depth of three inches, remaining olive oil and salt to taste. Bring to a boil. Reduce heat, cover and simmer 25 minutes or until just tender. Cooking will vary with size of artichokes. Remove artichokes, drain and hold warm. Reduce cooking liquid until of a syrupy consistency. Spoon sauce over artichokes and serve.